There have been several attempts to get people excited about “ultrawidescreen” 21:9 aspect ratio HDTVs, but they haven’t really taken off. LG is hoping to change this by bringing the formfactor to the desktop. That’s where the new EA93 UltraWide LCD monitor comes into play. It is 29-inches with a resolution of 2,560 x 1,080, and uses the extra horizontal space to display not just cinema-style movies, but also side by side video from different sources or up to four different views at once. It does this with the aid of built-in software. It also sports DVI Dual Link, DisplayPort, or HDMI with MHL support. 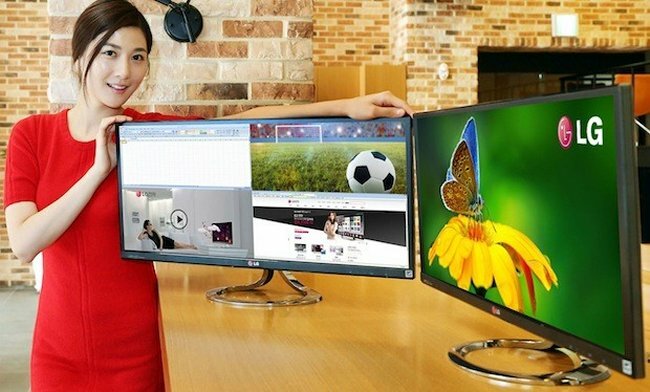 This monitor is launching in Korea this month.